Americain, was the 2010 Melbourne Cup winner. 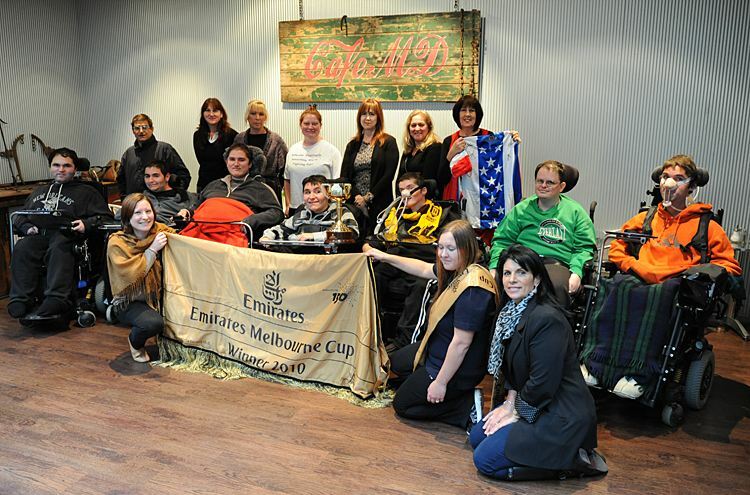 Part owner, Colleen Bamford recently visited the MDA with the Melbourne Cup, Americain’s jockey silks and winners sash. 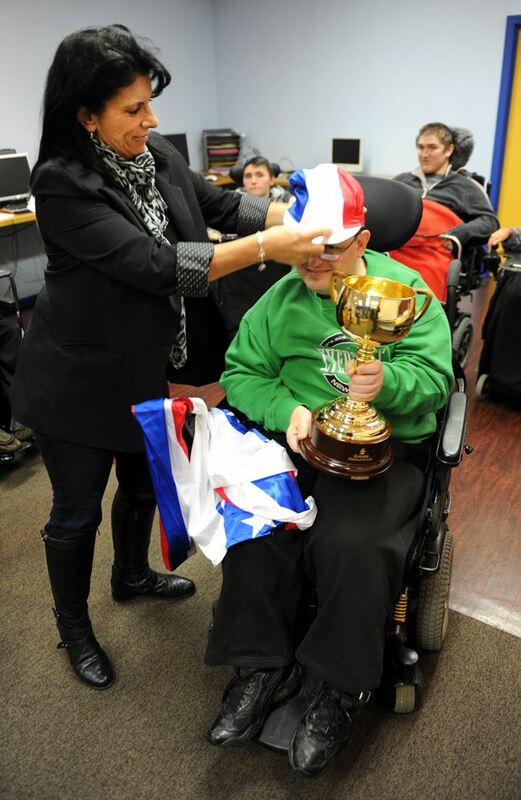 MDA Staff and Futures participants had first hand experience with the Melbourne Cup and memorabilia. It was an amazing experience handling the gold Melbourne Cup and listening to Colleen’s first-hand account of this amazing win. 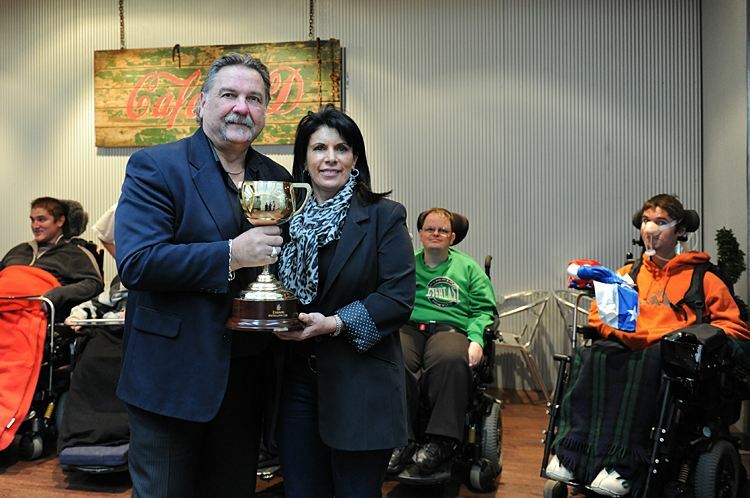 Boris M Struk together with Colleen Bamford and the Melbourne Cup. Colleen dressing Lee Noyes in Americain’s silks. 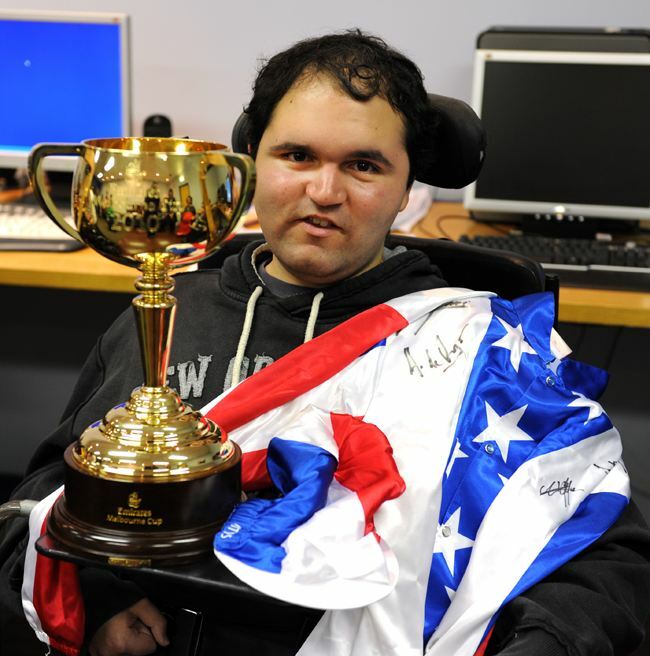 Jamie McBryde hangs onto the Melbourne Cup.